We always look forward to talking and doing business with our clients in Missouri at Rental Projectors Corporation. Missouri is one of the largest agricultural producing states in the country but they also have rising economic sectors that focus on aerospace, transportation equipment and other industries. When our clients in Missouri need to create a powerful PowerPoint Presentation for their next pivotal business meeting, they give our highly-trained and friendly renting specialists a call or send them an email, when it’s time for them to secure an LCD projector. When potential clients in MO talk to our team of renting specialists, they find out they are much more than just ordinary customer service representatives. Our team will work closely with our potential clients in MO to determine what type of projector will be most ideal for their type of presentation and also the venue in which they will be using their rental. For instance, if a potential client plans on using a projector to present a PowerPoint presentation that consisted mostly of textual data; our specialists would recommend using an LCD projector because they produce a razor-sharp image that is extremely effective in displaying text. However, if a potential client plans on building a presentation that would consist mostly of multimedia such as pictures and videos, our specialists would recommend using a DLP projector which is more pixel infused, so images appear dynamic and run smoothly. The advancement in projector technology has made an LCD projector a very advanced piece of equipment. Their specifications can be overwhelming to a professional in Missouri when they are trying to decide what type of rental they need. This is why our potential clients in MO will be relieved when they see that with our team of projector specialists, they never have to worry about whether they need either a 2000 or a 3000 lumen projector to accommodate an audience of 75. Our specialists take all of the guess work out of deciding which type of equipment would be best suited for their needs. 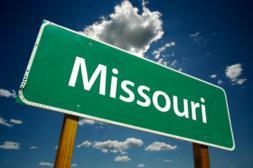 Our potential clients in Missouri will immediately realize that our specialists are focused on their image. We only deal with the most elite presentation equipment and how our clients can utilize this equipment to enhance their image. Other rental companies branch off in different directions by also offering other electronic devices. This causes them to lose dedication and focus on the projector equipment that is most important in enhancing their clients’ professional image in MO. This is why when serious professionals in Missouri need to rent multimedia equipment; they turn to RentaProjectors.com, the most experienced name in the business.